Want to learn how much you need to retire? Try these free retirement spreadsheets and get your number! One of the purposes many families turn to Microsoft Excel for is working out their retirement plan in an easy and quick manner. This type of number crunching and planning is exactly the kind of math that gives me a headache. A bad combination of stress, risk and hard numbers! Luckily some helpful folks have created many fine (and free!) 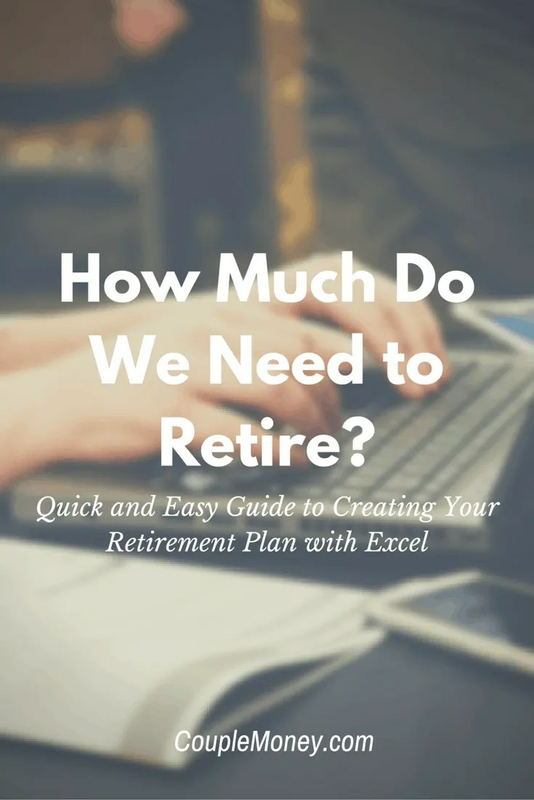 Excel templates that help you to both figure out how much money you’ll need when you retire, and your 401(k) setup and a pension plan to reach your desired income goals. If you’re looking for an easy and quick way to get a snapshot of your finances now and whether you’ll be ready for retirement, Personal Capital is a smart choice. They have plenty of free tools to use including a cash flow analyzer and retirement planner. When people talk about 401(k)s, they are usually talking about their pension investment. A 401(k) is part of the US Internal Revenue Code that deals with retirement plans, and which defers the taxation of your periodic savings. Figure out what level of income you want to have when you retire. Figure out how to save so that you reach that level of income in the 401k plan. Most finance-savvy people will probably have a ballpark figure for how much money they will need to live on, even without any fancy calculations. There is no right answer, what you come up with is down to your lifestyle, where you live, and how much you need to service that lifestyle. If you need $100,000 per year to live then the amount of money you need to invest for a great retirement is far greater than if you need $50,000 per year to live. If you only need $20,000 per year then you will not need to put away quite so much money now. Just remember when working out how much you think you will need that you’ll have to pay all your living arrangements from this income, scenarios, and economies change, and that you will be taxed. At least put in some padding for some fluctuation of inflation rates, because this money will be put to use several decades from now and there is no opportunity to go back in time to correct your estimates! There are pension plans, social security, and individual retirement accounts that you may have and may add to your total retirement income. Don’t forget to consider any other factors in your cash flow that may change over time. Already Have a Retirement Plan? You can play with the figures to see what you can achieve if you modify your existing 401k plan within its terms. Another option if you’re limited on time and still want to optimize your 401(k), you should check out blooom’s fantastic (and FREE!) 401(k) analysis. Want an easy way to track your spending and your net worth? Tiller is a fantastic app that will allow you to do both right inside Google Sheets! You can use one of their templates (I love their The Net Worth Tracker Spreadsheet) or completely customize your own. Try them out here! Microsoft Excel and these nifty spreadsheets can come in very handy with planning for your retirement, but obviously, if you have any questions or concerns then you are best off talking to a professional. There are many variables and options, and there are people out there ready and able to help you make the right decisions. Even so, with a bit of spreadsheet homework, you can see if you are in the right ballpark! Let us know if you have any better spreadsheets, tips or ideas in the comments. Thanks for all the resources. I love planning my retirement in excel and fiddling with the numbers in the future. Everybody should do so! I feel the same way Sam! My husband and I like to play around with spreadsheets and run the numbers. We used spreadsheets a ton when we’re house shopping. Now we’re looking more at retirement contributions. I’m 20 years old and have already started saving for retirement, this excel sheet will help alot! May I add another excel planner? I wrote an excel spreadsheet for retirement planning that lets you simulate the fluctuations in stock market returns. This can help you estimate how confident you are with your plan. @Sam, Matt: I’m so glad you liked it. Planning your retirement can be a very complicated task, and sometimes we just need the tools to get us started on the right foot.